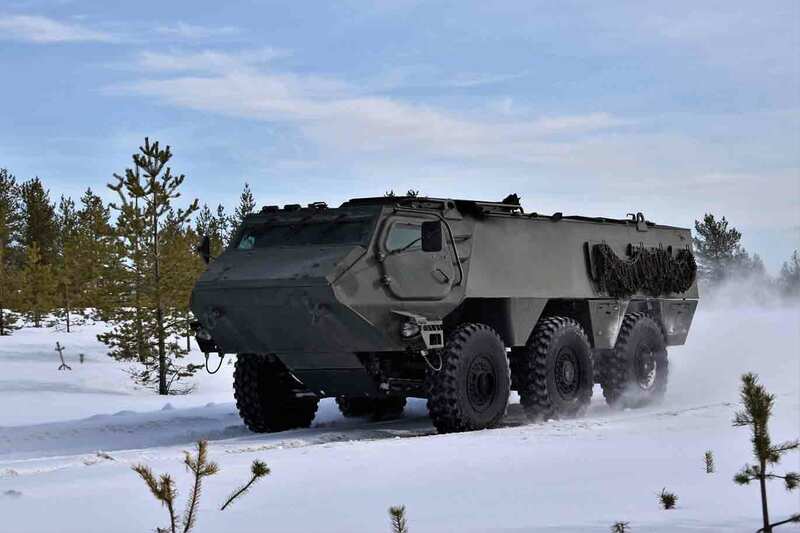 On the opening day of Eurosatory 2018, Finnish vehicle manufacturer Patria stressed modularity and affordability, unveiling its new multipurpose 6x6 vehicle as a successor to the Pasi Armoured Personnel Carrier. “Our aim is to keep the confidence of customers in all conditions” said Patria president and CEO Olli Isotalo. “We have a continuous focus on R&D,” he continued, outlining how Patria’s current products are evolving, including the integration of a Kongsberg Remote Weapon Station (RWS) on Patria's widely used 8x8 Armoured Modular Vehicle (AMV). Isotalo said Patria was going “back to basics” by focusing on three core areas: mobility, survivability and affordability. It highlighted the modularity of its versatile XA-series 6x6 “Pasi,” which draws on the success of the AMV. A video depicted the vehicle manoeuvring through wooded terrain, including powering through still water before discharging its infantry squad. The 6x6 operates not only as a baseline APC, but also in an ambulance variant and with the Nemo mortar system, as well as an amphibious version with propellers at the rear, forward of the open troop compartment. Boarding and leaving the 6X6 is easy. 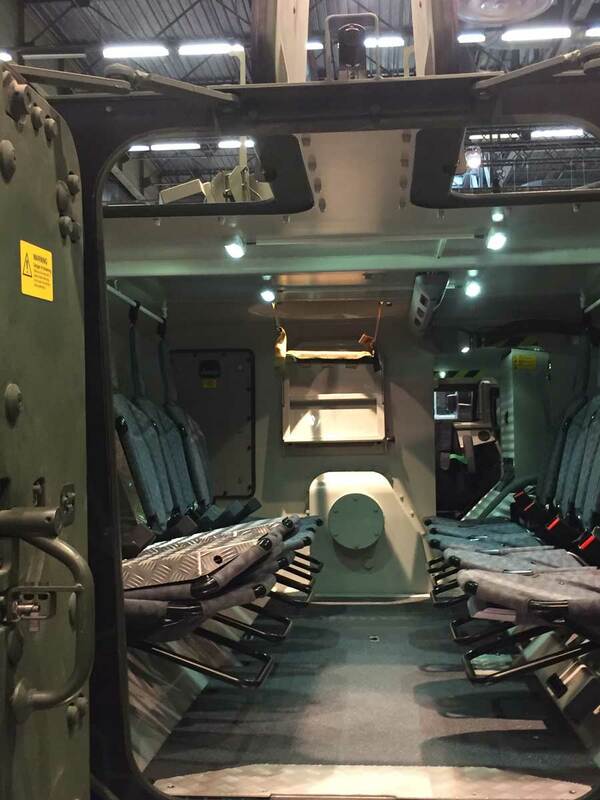 The vehicle has seats for 10 combat troops, depending on its purpose and layout. Moving around the vehicle, there are many options for armament. On the roof, immediately behind the driver’s cabin, is a mounted machine-gun installation, whilst to the rear, there are hatches in the roof for dismounts to aim their small arms. The latest edition to Patria’s range of vehicles has a strong chance of following in the footsteps of its forebears by offering strong capability at an affordable price.